Now what does it all mean? Find out lower down this page where we explain every icon and all the functions of dadcadno. but first things first, well done for becoming a member of dadcando (if you are not a member yet, you are really missing out, click here for more information. A whole world of original, creative and well designed projects for you to explore, that will set your imagination on fire. dadcando is built around a core of original and creative Making and Doing projects that are regularly descrided as "the best on the web". The projects are designed to be appropriate for a wide range of ages and abilities and to suit whatever time you have available, from a spare 10 minutes to a whole afternoon. dadcando also has a growing catalogue of Top Tip articles which offer support, encouragement and advice covering a wide range of topics to do with parenting which are especially applicable to single parents (obviously with the emphasis primarily on helping single dads). When you register, you automatically get your own dadcando Homepage. Each time you download a new project, article, recipe, or experiment, your dadcando Homepage is automatically updated with a little picture of the project download sheet. This means that you (and other dadcando members) can see which projects you have downloaded. But this is only the beginning, once you have downloaded a project and made it, you can upload your own pictures of that project for everyone to see. You can tell everyone about your project and receive comments back about it from other dadcando members. Other members can also rate your projects. But the best bit is that when you upload your pictures, your project is automatically entered into our weekly competition and you stand a chance of winning some great prizes.
. . . The icons used on dadcando are quite simple to understand, but some of their functions might need a little explaining, so below is a list of all dadcando's icons with a short description of what they do. From time to time we might add new Icons, so check back here whenever you don't understand something and see if this page makes things clearer. if after looking here, you still can't get the hang of it, ask us to help you out	and we'll get back to you as soon as possible. Add this project to my list of favourites. 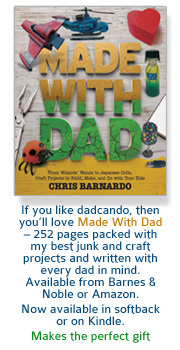 If you click on this icon, the project is added to the left hand side menu in your own dadcando Homepage, so that you can quickly go to it later. Making this project one of your favourites adds one to the project favourite count that is displayed next to the heart. This is the total number of people who have made this project one of their favourites. This project is already one of my favourites. You can only make a project your favourite once, so once you have clicked on this icon, next time you visit this page you will only see a heart without its plus sign. Download status or download this project. At the top of any page that contains downloadable content, this icon will tell you how many people have downloaded this project or any of the content on that page. When you see this icon next to an instruction or a small picture of the project, recipe, template, article or experiment, then clicking on it will automatically download the content into a new browser window. Downloading the project will automatically put a smaller picture of the project sheet in your dadcando Homepage, which then allows you to upload your own pictures into that project. Upload a picture. To upload a picture of something that you have made, first download the relevant project, then go to your dadcando My Page where you can upload images to your project using this icon. 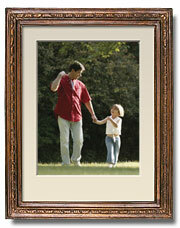 The picture you upload will be visible on your dadcando Homepage immediately. Upload more pictures. Once you have uploaded the first picture of any project, you can upload more pictures to that project by clicking on this button. Add a comment or start a new comment thread.The number of comments made on your projects are added up and displayed in your profile. The number of comments you have showing in your profile includes all replies and your comments too. Rate another member's pictures or project uploads. Click on the Star+ icon to rate someone else's uploaded picture. Star ratings are added up and shown next to the uploaded pictures and ratings from all your pictures are added up and shown as a grand total in your profile. I have already rated this member's pictures or projects. Show me more pictures. Where a member has uploaded more than one picture for any given project, you can look at all the pictures by clicking on this icon. Return to this member's dadcando Homepage. When you have been looking at a members additional pictures in a project, click on this icon (found at the bottom of their profile block on the right hand side of the page, to return to their dadcando Homepage. Make this user one of my favourites. You find other users by clicking on the pictures that they have uploaded and chosen to show at the bottom of the main project pages. If you want to be able to quickly find that member again, you can click on the pink heart + icon to make them one of your favourites. When you do this, they automatically appear in your favourite people menu on the left hand side of the page. Clicking on their user name in the left hand menu automatically takes you to their dadcando Homepage. When other members look at your page, they can see who your favourites are and go and look at their dadcando Homepages too. This user is already one of my favourites. When you have made someone one of your favourites, you will see this heart at the top of their profile. Go to help page. If you are ever unsure about what an icon means or what clicking on it does, then clicking on the question mark will bring to this page where you can read about all the icons and what they mean and do. Edit my profile. Once you have registered you might want to add a few details about yourself so that other members can get to know you a little better. Click on this icon and you can change a few details about yourself. Flag comments or material felt to be unacceptable. 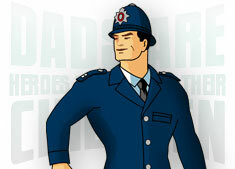 dadcando is moderated, but you can do your bit too, to make sure it stays a safe and friendly environment. Don't post anything nasty or offensive yourself, and if you see something that upsets you or you think is inappropriate for dadcando, then flagging it will help us find it quickly and remove it if necessary. Send a message. Where you see this little paper dart, you will either be able to get in contact with dadcando or send the link of an interesting article to someone who you think might like to read it. While we have taken all reasonable measures to ensure that the core text, projects, tips and advice do not contain any offensive language, and from that point of view are considered to be safe for children to use, dadcando can not be held responsible at all times for the posts of its members. The dadcando Homepage areas are moderated and if any material is thought by us to be unsuitable, or is flagged as being offensive in nature, or inappropriate for children, dadcando will take all reasonable steps to remove the material as soon as possible, and if necessary revoke the offending member's membership. Thank you for joining dadcando, we hope you'll have a lot of fun here.